LOS ANGELES, CA (ANS) — After a devastating car crash leaves her beloved husband unable to breathe on his own, a woman, recalling her courtship in flashback, must find strength in her faith as she faces the prospect of her husband’s passing. 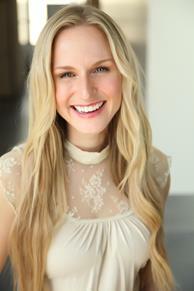 Award-winning actress Jenn Gotzon Chandler made a niche playing historical and real-life characters. Her latest work in SUNRISE IN HEAVEN is inspired by the true story of Texas woman, Jan Hurst. Gotzon Chandler had her breakout role as President Nixon’s daughter, Tricia Nixon, directed by Ron Howard in FROST/NIXON, and ALONE YET NOT ALONE, a novel-turned-movie, credits her in films with six Academy Award nominations. Gotzon Chandler loves playing the protagonist who transforms from brokenness to wholeness through the story. Her goal is to impact and inspire audiences through the art of storytelling on film. She stars in many family movies available on Amazon including top-grossing faith-based comedy LOVE DIFFERENT and the following for which she won awards for her performances: DOONBY, GOD’S COUNTRY, JULIE AND JACK, THE SACRED ETERNAL, THE GOOD BOOK and UNBRIDLED. Gotzon Chandler strives to be a role model mentoring teens and as a public speaker. With her husband, Jim E. Chandler, she is seen in the rom-com SAVING FAITH and MY DADDY IS IN HEAVEN. According to www.christiancinema.com , Jenn Gotzon in 2017 married fellow actor Jim Chandler, bringing a new angle to her decade of acting experience. Now, the two of them work together on projects, like the upcoming romance The Farmer and the Belle, telling the story of their courtship, and encourage each other in their professional careers as well as their marriage. Hurst was married for for forty-four years to her husband Steve, a veteran of the United States Air Force. 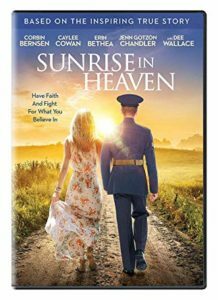 Through the past and the present, Sunshine in Heaven tells their story, in their twenties as they met and experienced Hurst’s father’s distrust of other soldiers, and the present after a terrible accident threatens their future and their faith. Jenn plays one of Hurst’s daughters, Terri, under the direction of Wayne Boone and alongside Corbin Bernsen, her collaborators on another true story, My Daddy’s in Heaven. To understand her role better, Gotzon Chandler said that her marriage to Jim allows her to explore a deeper space, to consider her lines and character development ahead of shooting film. 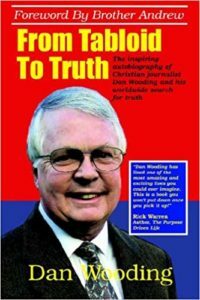 She also found her interaction with the real-life Terri to be helpful in seeing how Hurst’s daughter handled herself during the trauma. Playing a real-life character allowed her to hear the person’s actual cadence, and consider what they really did in the situation, whether it’s a movie like My Daddy’s in Heaven or Sunrise in Heaven. As she continues her career, Jenn hopes that she and her projects will provide Biblical values to girls that show their value isn’t based on appearance. She and Chandler are focused on using their story to show how their identities are shaped by real-life love, and walking alongside others exploring a journey of faith and love. Sunrise in Heaven does that for Gotzon Chandler, proving once again how she’s staying true to her mission, telling stories of love and faith that triumph over tragedy. Sunshine in Heaven debuted digitally, On Demand, and on DVD, on April 9, sharing the real-life story of Jan Hurst.